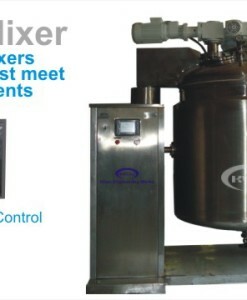 Its not just a mixer. It homogenizes, emulsifies, solubilizes, suspends, desperses and disintegrate solids. 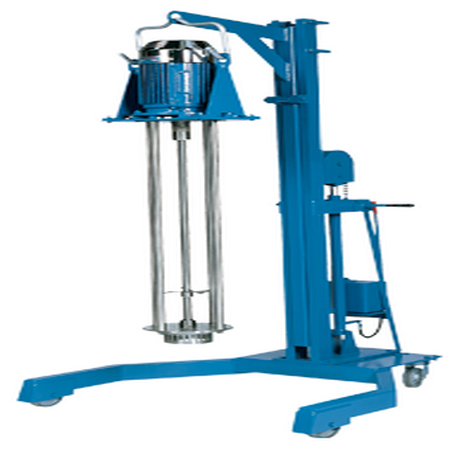 These mixers with their precision engineered rotor/stator workhead and multi-stage mixing/shearing action far outperforms the conventional stirrers or agitators. It can be permanently mounted to a vessel or suspended over a vessel. 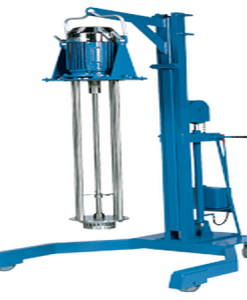 The mobile configu- ration offers the flexibility to use the mixer in multiple vessels. Interchangable workheads for maximum versatility, with the options including Emulsor Head, Slotted Head, Square Hole Head, General Purpose Head. Capacity from 1 to 6000 gallons. 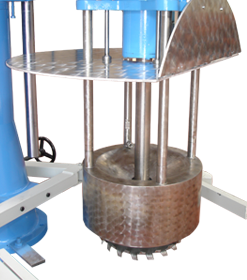 Homogenizer – (High Shear Mixer Rotor / Stator Mixing Impeller)The key to creating finest emulsion is to creat finest possible droplet size. The more the energy in the mix, the smaller the droplet size in emulsion, creating fine emulsion.high shear batch mixer doesn’t simply mix; it emulsifies, homogenizes, solubilizes, suspends, disperses and disintegrates solids. Each mixer, with its precision-engineered Silverson rotor/stator workhead, far outperforms conventional mixers, cutting processing times by up to 90%, improving quality, product consistency and process efficiency. Dispersion and Hydration of Carbomers, Manf. Of Deodorants and Antiperspirants, Prod. Of Cosmetic Creams and Lotions, Nail Varnish Manf. Shampoo Manf. Sun Tan Creams and Lotions Manf. Dispersion of Hydration of Carbopol, Dilution of High Active Surfacants. Dispersion of Pectin for Jellies Preserves, Ice Cream manufacturing ( Ice Cream Mixes, Hydration of Stabilizers and Emulsifiers), Manf. Of Tomato Sauces and Ketchups, Prod. of Flavor Emulsions, Prod. Of Margarine and Low Fat Spreads, Prod. 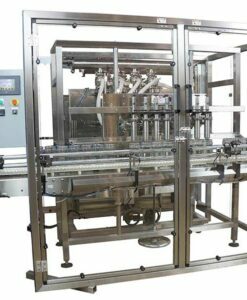 of Salad Dressings, Refining of Edible Oils, Soft Drink Manf. (Dissolving of Artificial Sweeteners, Preparation of Sugar Syrups, Cloud Emulsions for Soft Drinks), High Speed Reclamation of Confectionary, Prod. Of Cream Liqueurs, Prod. Of Flavored Milk Drinks, Prod. Of Mustards. Prep. Of Pet Food Gravies and Jellies, Manf. 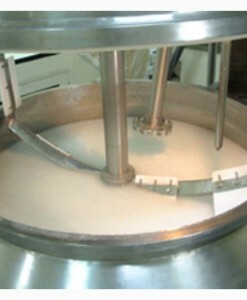 Of Sweetened Condensed Milk, Premixes for Yogurt and other cultured Milk Desserts, Brines for the Meat Industry. High Speed Preparation of Rubber Solutions, Prod. Of Solid Polishes, Polymer/Pigment Dispersion in Textile Manf. High Speed Dispersion of Bentonite, Titanium Dioxide. High Speed Dissolving of Viscosity Index Improvers in Luboils, Preparation of Paper Coatings, Redispersion of Filter Cake, Prod. Of Polymer modified Asphalt for Road Surfacing, Manf. Of Pesticides, Preparaton of Drilling Fluids.